Excellent solution for creating a safe, enclosed area for kids; anywhere from the beach, to the backyard, to the play room. 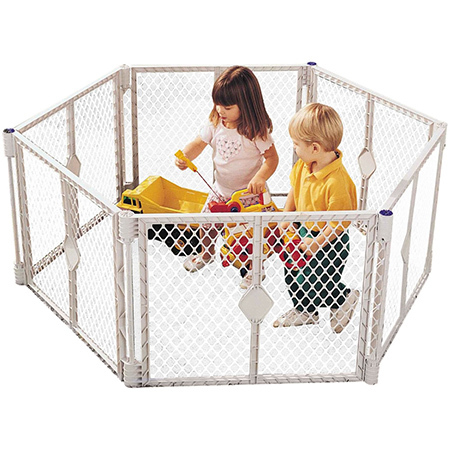 Can be reconfigured into different shapes to fit a variety of spaces; including an extra-wide doorway or staircase where a conventional baby gate is not sufficient. The gate yard is 26″ tall, includes 8 sections, and provides 18.5 sq. ft. of protected play space.